Being authentic, has its own side effects n if you’ve focused on expressing yourself, exactly the way you are, you will know that not many would get you completely..
N that’s the happiest part of choosing to be here on this planet!! We get to be our best buddy, even if that’s the only choice we have. It’s not a bad choice really.. Unless we become our own buddies, its tough to be someone else’s.. Happy work here, and authentic living is a ball game of its own!! 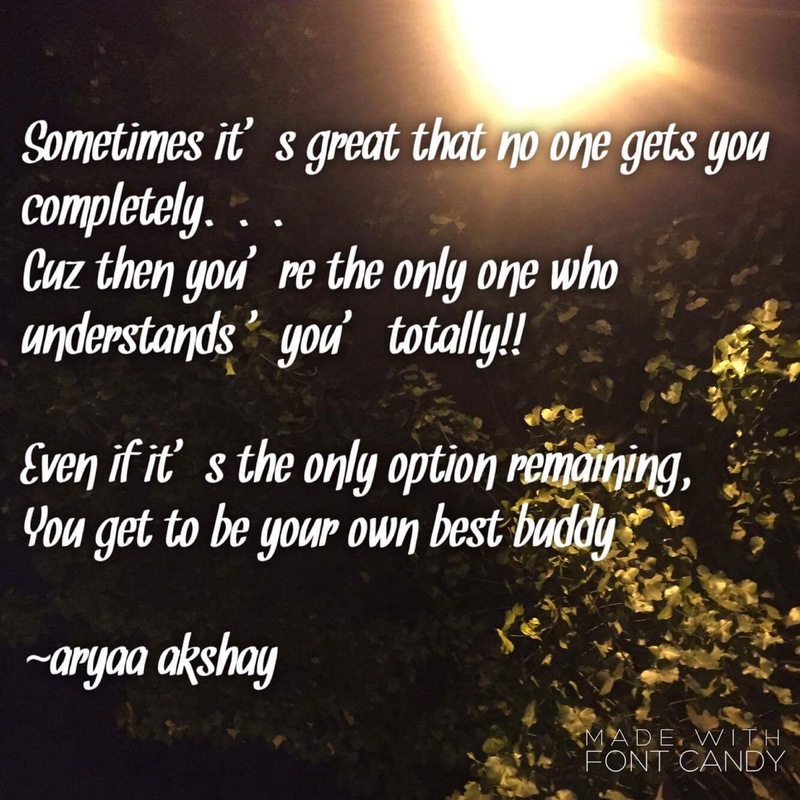 This entry was posted in Creating Self Awareness, Quotes and tagged authentic, buddy, effects, living, self love, side. Bookmark the permalink.